It has been a very interesting week in the Estonian Meistriliiga with back-to-back derbies involving Tallinn rivals Flora and Levadia. With the former well-placed to defend their title it was imperative for Levadia to take some points off the league leaders and provide some hope for the rest of the chasing pack. Before Tuesday’s game, in which Flora were the home side, the defending championship holders enjoyed a two point lead over nearest challengers Nõmme Kalju with two games in hand so it was important for Levadia to stall their local rivals’ momentum in the title race. Levadia were ten points behind and seemingly out of contention but a couple of victories could provide the title race with a major twist so they were never going to go into these games lightly. Tuesday’s game saw Levadia shock home side Flora with the visitors winning 1-0 thanks to a late goal from Igor Subbotin and set things up nicely for today’s return fixture at the home of Levadia. A repeat result seemed on the cards for most of the game with Aleksandr Volodin’s 19th minute goal giving Levadia a lead which they were determined to hold on to. However, just as it seemed that the home side would be celebrating back-to-back wins over their arch rivals, Flora gained a penalty kick in second half stoppage time which Valeri Minkenen tucked away to sneak a 1-1 draw and a point for the table toppers. The point ensured that Flora Tallinn (23 games, 54 points) held the league leadership on their own for at least a couple of hours. However Nõmme Kalju battled their way to a 1-0 win this afternoon against third place Trans Narva with Tarmo Neemelo’s goal in the 73rd minute securing all three points. Kalju have joined Flora at the top of the table with 54 points but have played a game more than the capital side who they meet at home on September 10th in a game which will be highly anticipated. 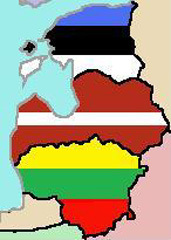 Just like in Scandinavia, the various football leagues of the Baltic States are approaching the business end of the 2011 campaign. As well as Latvia, Lithuania and Estonia, this report will feature Belarus. Earlier this season the Latvian Virslīga looked like a one horse race as FK Ventspils stormed into the lead when dropping just two out of thirty six points in their opening twelve games of the season. It is a very different story now as any one of four teams will fancy their chances of winning the championship. The usual suspects – FK Ventspils, Skonto Riga and Liepājas Metalurgs – are there as well as a new contender in the form of FC Daugava (38 points) from the Latvian second city of Daugavpils. They currently lead the table despite having lost their most recent game last Sunday to FC Jurmala. Before Sunday’s mishap FC Daugava were unbeaten in their last ten matches with seven wins and three draws helping to propel them up the table. This form compares with that of defending champions Skonto (7 wins, 2 draws, 1 loss) in the same period whilst FK Ventspils, who have failed to win any of their last five games, and Metalurgs, who have lost five of their last nine, have stuttered in the last couple of months and have let the others back into the title race. Lithuania’s A Lyga is headed once again by defending champions FK Ekranas (47 points) who remain unbeaten after 19 games played. The club which has won each of the last three championships has a three point lead over Žalgiris Vilnius who has played a game more. The top two are scheduled to meet this Sunday with the league leaders at home and one feels that the destination of the title will be almost certain should Ekranas take all three points at the weekend. Should Ekranas slip up, FK Sūduva will be hoping to pounce with a win against FK Atlantas Klaipeda and reduce the gap at the top of the table. The Meistriliiga table is misleading as it looks a lot more competitive than it actually is. Champions Flora Tallinn (50 points) may only have a two point advantage over second place JK Nõmme Kalju but the latter have played two games more. Even third place Trans Narva and fourth place Levadia Tallinn have played three and one game more respectively thus ensuring that Flora have games in hand on all of their title rivals. The likelihood is that Flora, who remain unbeaten after 20 games, will clinch their second successive title, and ninth overall, this season. However next week sees a double-header of Estonian football’s very own Superclásico with Flora meeting Levadia twice in the space of five days and the results of those games could make or break the title race. In Belarus perennial champions BATE Borisov (47 points) are running away with it once more as they hold an eight point lead over nearest challengers Shakhtyor Soligorsk in the race for the Premier League title. BATE have only lost one match this season, a 2-1 reverse at the hands of Dinamo Minsk, and have conceded only eight goals in twenty games proving that they are still the dominant force within the domestic game. Even if they were to lose their upcoming meeting with Shakhtyor on September 9th, BATE have more than enough left in the tank to clinch a sixth successive championship with enough time to spare. The business end of the season is about to begin in each of the Baltic States. Stoppage Time – International Football Blog reviews the latest action from Latvia, Estonia and Lithuania. Skonto Riga took a decisive step towards winning their first LMT Virslīga title since 2004 when defeating FK Ventspils in today’s top of the table clash in Latvia. Turkmenistani international Ruslan Mingazov scored the decisive goal for record champions Skonto in front of a home crowd of 2000 at Skonto Stadions and they now increase the lead at the top of the table over second place Ventspils to six points with nine matches to play. Defending champions Liepājas Metalurgs are just two points further behind after they easily overcame the challenge of FC Tranzīts with goals from Deniss Rakels, Marques De Souza, Pāvels Mihadjuks and Vitālijs Barinovs (own goal) securing a 4-0 win. FC Daugava Daugavpils are still a comfortable fourth place but they will rue two dropped points in an exciting 3-3 draw against Latvian Cup holders FK Jelgava. FC Daugava were coasting with a three goal lead after an hour but Jelgava fought back with Vladislavs Kozlovs scoring a hat-trick with the final two goals coming in the last two minutes of the game. The other two matches on Matchday 18 saw a Riga derby involving JFK/Olimps and FK Jaunība finish in a 2-2 draw whilst FK Jūrmala-VV and SK Blāzma Rēzekne were involved in a goalless stalemate. Now that two-thirds of the season has been played each team plays the other nine in the league one more time with the fixtures being determined by virtue of league placings at this stage, therefore the top five teams have five home games each from their remaining nine matches. Estonia’s Meistriliiga is the tightest out of the three championships at the moment with Tallinn rivals FC Flora and FC Levadia maintaining their challenges for the title with victories over JK Sillamäe Kalev and FC Trans Narva respectively. FC Flora lead the table with 69 points from 27 matches after their 3-0 home defeat of Sillamäe with Hannes Anier bagging a brace which sandwiched Sander Post’s strike on the hour mark. Levadia, champions for the last four seasons, are just two points behind Flora but have played one game more. They kept up the chase on Flora by defeating FC Trans also by a 3-0 scoreline but the match turned on 38 minutes after FC Trans’ Tomas Rimas was sent off with the resulting penalty being converted by Levadia’s Konstantin Nahk. Deniss Malov and Artjom Dmitrijev sealed the game in the second half to keep the title race on a knife edge. In Lithuania’s A Lyga the league leadership changed hands this weekend. FK Sūduva were the leaders going into Matchday 20 but they were surprisingly beaten 2-1 at home to FK Kruoja Pakruojis and they made to pay for this mishap as FK Ekranas took full advantage on Sunday with a 5-0 win at home to FK Klaipėda with Dominykas Galkevičius scoring a hat-trick for the new league leaders. FK Ekranas have 48 points from 20 games with FK Sūduva trailing them by two points. FK Žalgiris Vilnius, who didn’t play this weekend, are a further five points behind but have a game in hand. Although most of Europe’s top leagues have now got under way for a new season that doesn’t mean that we forget those championships which began earlier in the year and which are now entering the business end of the season. There have been, for example, top of the table clashes in Belarus, Latvia and Finland whilst league leaders dropped points in Russia and won three points in Estonia, Lithuania and the Republic of Ireland. Stoppage Time – International Football Blog reviews the latest developments in Europe’s summer leagues. In the Belarussian Vysshaya Liga on Saturday there were two important fixtures with the match of the round involving defending champions BATE Borisov, looking to win a fifth straight championship, playing against second place Soligorsk. At the same time there was a capital derby with bottom of the table Partizan Minsk taking on third place FC Minsk. BATE took control of their home encounter from the off and were two goals to the good after just half an hour thanks to strikes from Artem Kontsevoy and Edgar Olekhnovich. With no further goals in the game the home side had secured three points without too many problems. In the other game FC Minsk beat their cross-town rivals by four goals to one with Dzmitry Osipenko on target twice to keep up the chase on BATE Borisov (played 20, points 45), overtaking Soligorsk into second place and lie three points behind the leaders albeit having played a game more. In Latvia’s Virslīga league leaders Skonto Riga (played 15, points 40) kept up their title credentials thanks to a 2-1 away victory at defending champions Liepājas Metalurgs. Brazilian Nathan Junior scored his twelfth goal of the season from the penalty spot to give Skonto the lead and it got better for the capital outfit on 35 minutes when Ruslan Mingazov doubled the lead. After that setback it was clear that Rüdiger Abramczik’s men needed to react and that was what they did just four minutes later, halving the deficit with Jurģis Kalns scoring from the spot. No matter how much the home side tried though they were unable to break through Skonto’s resolute defence for a second time and it was Alexandrs Starkovs’ men who went away with the three points. With Metalurgs now a full ten points behind Skonto in the standings the championship is now a two horse race with second place FK Ventspils easily beating FK Jaunība by five goals to nil to remain just two points behind Skonto. Their imminent clash on 12th September could be a fascinating duel. The Russian Premier League saw Zenit St Petersburg drop two points at home to Dinamo Moscow. The visitors took the lead thanks to new signing Kevin Kuranyi who opened the scoring after 26 minutes but it only took Zenit eight minutes to restore parity after Danko Lazović scored only his second goal of the season to help preserve Zenit’s lead (played 16, points 40) which remains at seven points after Rubin Kazan, champions from the last two years, also dropped two points in a 1-1 draw away at Terek Grozny. CSKA Moscow went above Rubin on goal difference thanks to an impressive 4-0 home win against Anzhi Makhachkala, Sekou Oliseh scoring twice along with Zoran Tošić and Vágner Love. In the Moscow derby Spartak got back to winning ways with a 3-2 away win against Lokomotiv with Valeri Karpin’s men grateful to the shooting boots of Brazilian forward Welliton whose hat-trick was crucial in gaining three points for Spartak who now lie in seventh in the table on equal points to Lokomotiv. The Veikkausliiga in Finland saw record champions HJK Helsinki lose at home to nearest challengers Honka Espoo, Rasmus Schüller’s goal midway through the second half was enough to separate the sides and narrow the gap between HJK and Honka to just three points with both teams having played eighteen games. KuPs Tuopio won their game away at JJK Jyväskylä on Friday by three goals to one to remain just a further point behind HJK and ensure that the championship race remains tight in Finland. 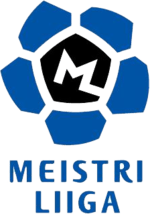 Estonia’s Meistriliiga saw both of the main title chasers predictably win their games against inferior opposition. Defending champions and league leaders Levadia Tallinn (played 25, points 60) easily disposed of fifth place Nõmme Kalju by five goals to one with Brazilian Felipe Nunes bagging a brace. Title challengers and eternal rivals Flora Tallinn are six points behind Levadia but have three games in hand, a situation that remains the same after their 5-0 home demolition of FC Lootus Kohtla-Järve with Hannes Anier scoring a hat-trick to keep up the pressure on the league leaders. FK Ekranas (played 18, points 45) preserved their ten point advantage at the top of Lithuania’s A Lyga coming from behind to gain a point at home to FK Sūduva. Povilas Lukšys gave the away side the lead after 27 minutes only to see the league leaders equalize seven minutes later through Ramūnas Radavičius. All is not lost for the chasing pack however as Žalgiris Vilnius, who drew their weekend game 1-1 away at FK Banga, lie ten points behind with a game in hand and FK Sūduva are a further point back with two games in hand. Finally in the Republic of Ireland’s Airtricity Premier League Shamrock Rovers managed to pull away from title rivals St Patrick’s Athletic on Friday night after the former’s 2-0 win away at Drogheda United was coupled with the latter’s 3-2 defeat at Bray Wanderers. Shamrock (played 25, points 48) have the advantage but will have to beware of the challenge not just of St Pat’s but also of Sligo Rovers who lie six points behind in third place (albeit having played a game more) after they beat University College Dublin (UCD) 4-0 on Saturday. The Estonian Meistriliiga saw a heavyweight contest at the top of the table with old foes Levadia and FC Flora fighting it out in the Tallinn Derby. The gap between the two clubs was six points before the match with FC Flora, in second place, having played three games fewer than their opponents who have won the league in each of the last four seasons. The game started well with an early goal for Levadia’s Konstantin Nahk who put the home side ahead after six minutes and the game would stay like that until midway through the second half when Flora’s Henri Anier restored parity and bring the hosts level. Tarmo Neemelo looked to have won the game for Levadia after his goal thirteen minutes from time regained the lead for the champions but Flora saved their title dreams when Sander Post equalised in stoppage time to give the visitors a share of the points. Third place Trans Narva FC’s 2-0 win over Tulevik Vijandi FC took them level on points with Flora but they have also played three games more than the capital side so Flora may fancy their chances of catching up to Levadia in the table. In neighbouring Latvia there were wins for the big three this weekend as Liepājas Metalurgs, FK Ventspils and Skonto Riga all predictably won their games to keep things as you were in the Virsliga. Champions Metalurgs won 4-0 at home to FK Jauniba Riga with Croatian defender Jurica Puljiz scoring a brace whilst arch rivals FK Ventspils remained on top of the table after a 2-0 victory against FK Tranzits in the derby of Ventspils. Skonto Riga went behind to an early Lasa Gongadze strike in the twelfth minute before Alexandr Starkovs’ men came back to rout local rivals Olimps/RFS by six goals to one with Brazilian Nathan Junior keeping up his goal form scoring a brace. FK Ventspils have 34 points from 13 matches but Skonto have a game in hand and are only three points behind. Liepājas Metalurgs have 27 points from 13 games and have some way to go if they are to defend their championship title. FK Ekranas still continue to lead the way in Lithuania’s A-Lyga but they had Dominykas Galkevicius to thank for maintaining their five point lead at the top of the standings after they beat FK Atletas Kaunas by a solitary goal to nil. Žalgiris Vilnius are hanging on their coat tails after dispatching of FK Mažeikiai by six goals to nil thanks mainly to the contribution of Artūras Jeršovas who scored four times. FK Ekranas have 41 points from 16 games with Žalgiris on 36 having played a game more whilst in third place lie FK Sūduva Marijampole who could only draw 0-0 away at FK Šiauliai at the weekend and have 33 points from 16 matches.